Eddie Linden aka Sean Glacken Quinn, aged 75, is almost as famous as Soho itself. 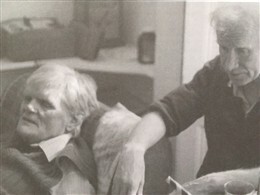 He is a small Irish scotsman who - without much money - has, for over 40 years, published Aquarius, a poetry quarterly. This, plus giving recitals of his work & promoting other writers, has put him firmly on the literary map for all time.He has been celebrated by Sebastian Barker in his work "Who Is Eddie Linden?" 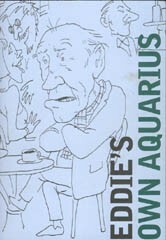 & by a festschrift to him,"Eddie's Own Aquarius" which has contributions from most of the heavyweights of 20th century literature. He is an old family friend. This page was added by Fiona Green on 30/08/2011.